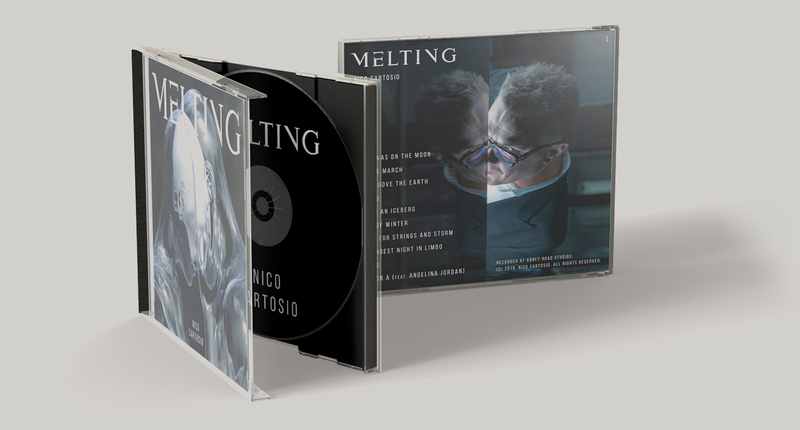 BUY CD: Nico Cartosio "Melting"
Unlike the digital album, which was created for a broad audience, this CD contains the full version of the “Melting” album. The CD opens with the composition “Winter Angel” (lacked in the digital disc). c) A bonus track “A boy and a cloud” is excluded from vinyl and digital albums.